Julie Beck was born and raised in Western Upstate New York. She attended Roger Williams University in Rhode Island where she graduated valedictorian with a Bachelors degree in Mathematics in 2002. She graduated from the certificate program of ARA Boston in 2016. Julie was the recipient of the 2016 Kassan Foundation Fellowship and has won such honors as the 2013 and 2016 Gold Medal at the Guild of Boston Artist’s Annual Non-Member Competition, Best in Show for the Richeson Annual Still life and Floral Competition, and has been a finalist in the Art Renewal Center’s Annual Salon 5 years in a row with honorable mentions. She was selected to participate in and won third place in the 2017 Still life Painting Competition at the Grand Central Atelier. Her work can be found in private collections throughout the US and internationally. Julie is currently working out of her studio at the school where she is developing a body of work with a wide range of painting subjects including still-lives and animal/figurative works. Lucas Bononi (b. 1991) was educated at Academy of Art University San Francisco (2012 - 16) and is attending the core program of Grand Central Atelier. His work explores the mystery of ontology through discovery and interaction. Having studied art since an early age Lucas found a love for oil painting, his primary medium. Currently, he is showing full time with Waterhouse Gallery, Santa Barbara and is displayed in the MEAM Museum of Barcelona. The subject of her work is primarily the human figure, and she works exclusively from life, memory and conception. Always striving towards significant form in her work, Kamille hopes to convey the essence of whatever she is painting or drawing. Ms. Corry recently was awarded an Honorable Mention at the Figurativas 2017 Competition at the MEAM museum in Barcelona. From 2002 - 2012 Kamille founded and directed the Corry Studio of Figurative Art in Salt Lake City, Utah. In recent years, she has been teaching intensive workshops in the US and Europe. Gabriela Gonzalez Dellosso received her BFA from the School of Visual Arts in New York City. She has had one- woman exhibitions in 2006 and 2016 at the Butler Institute of American Art, OH. Her work is in the permanent collections of The Arkansas Arts Center, AR; The Butler Institute of American Art, OH; The Fort Wayne Museum of Art, IN; The Heckscher Museum of Art, Huntington, NY; The New Britain Museum of American Art, CT; Jane Voorhees Zimmerli Art Museum, NJ; Salmagundi Club, NY and the Springfield Art Museum, MO. Her work has been published in American Art Collector, American Artist, The Artist’s Magazine, ARTnews, Fine Art Connoisseur, The New York Times, Poets & Artists Magazine and many more. Her work has also been exhibited in museum invitationals: Re-presenting Representation VII at The Arnot Art Museum; “Portrait of America: The Nation and Ohio” at The Butler Institute of American Art; “WOMENARTISTS@NEWBRITAIN MUSEUM” at The New Britain Museum, among others. Her creativity has garnered her over 25 awards in the past decade including gold medals from The Catharine Lorillard Wolfe Art Club and The Pastel Society of America. Gabriela is represented by the Harmon-Meek Gallery in Naples, Florida. She is an instructor at The New York School for the Arts in New York City and The JCC of Manhattan. JaFang Lu graduated from the City College of New York University with a B.A. degree and pursued her study of drawing and painting at the Art Students' League of New York where she studied with numerous teachers, among them was Nelson Shanks. In 2002, Nelson and his wife, Leona Shanks, founded Studio Incamminati, a realist painting ateiler. He invited a few of his students to study with him, JaFang was among them. JaFang is a recipient of the Leeway Art and Change Grant in 2010. She currently resides and maintains a studio in Philadelphia and teaches out of her own studio, as well as at Studio Incamminati. She also conducts workshops regularly around the country. 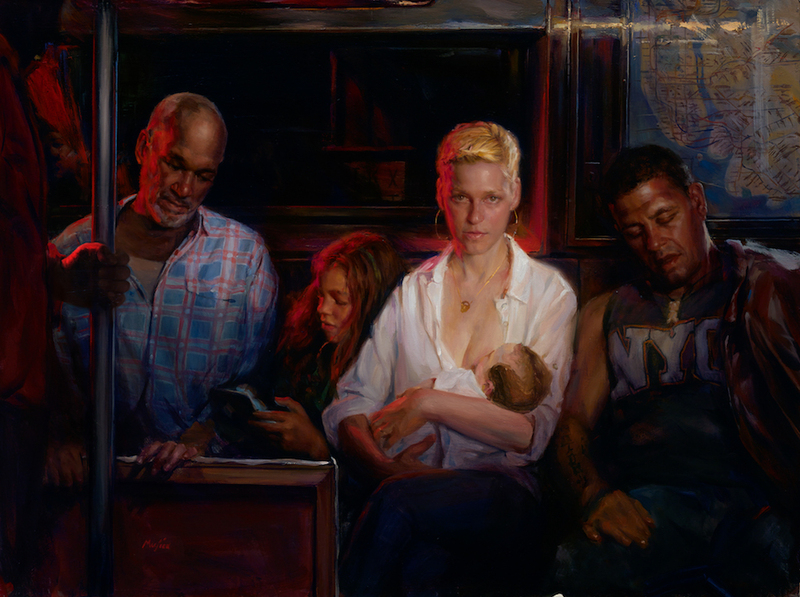 Born and raised in New York, Ricky Mujica started painting at the age of 15 as a student at High School of Art and Design where he was a member of the legendary “The Old Hat Club”, run by Max Ginsburg and Irwin Greenberg. Ricky won a full Presidential Scholarship and continued his art education at Parsons School of Design/ New School and Parsons in Paris. After a few detours into the world of illustration and then show business, Ricky made his return to the world of Fine Art, where has received many awards. This includes a first place finish at the April round of The Representational Art Conference 2015 competition (TRAC2015). A signature Status from the Portrait Society of America where he has been a finalist and certificate of merit recipient in their international competitions. He has been a finalist in the OPA National, Regional and members competitions, the Salmagundi Club members and non-members competitions, the Allied Artists Competitions, the National Oil and Acrylic Painters National competitions, the Richeson Competitions, the Artist Magazine figurative art competitions, and the ARC International Salon Competitions, he won the Art Expo Solo Award, and has received an Honorable Mention in the Figurativas competition in Barcelona. Most recently, Ricky won the Florence and Ernest Thompson Memorial Award at the 103 Allied Artists Exhibition, and won Best in Show (First Place) at the Lore Degenstein Gallery of Susquehanna University Ninth Annual Figurative Drawing and Painting Competition. He has created paintings for Harper Collins, Dell Doubleday, Simon and Schuster, Harlequin, Bantam, Little Brown Books, Hard Case Crime, Scholastic, New York Times Magazine, Daily News, Ebony Magazine, and Cherry 7-UP. He has painted murals for Sony and Leows theaters, and has made paintings used on clothes for fashion designer Rachel Roy. His artwork has been presented at the Museum of American Illustration on several occasions. He has been a touring break dancer, a boxer (Golden Glove Finalist), a musical theater performer (with an Andrew Lloyd Weber Musical), a Shakespearean actor at the Avignon theater Festival, a stand-up comic culminating several appearances at Carolines in New York, a skateboarder (one of the original Zoo Yorker Skaters), a guiro player and back-up singer in a traveling Salsa Band in Europe (Los Salseros), and a touring dance roller skater. He is now a proud father and husband. Joseph Michael Todorovitch is a contemporary painter, immersed in figurative subject matter, who is exploring painting through the lens of a naturalist perspective. His paintings are searching for a breathing sense of light, space, time, and subtle narratives that are personal but allow the viewer to ponder and create meaning. His concern for excellence of craftsmanship is balanced with a freedom to explore the playful side of paint application. He simultaneously pushes to create interest with surface abstraction and visual fidelity. The concert of the technical narrative, along with the implied narrative of the subject matter, requires the viewer to complete the experience of a Todorovitch work of art. Nicholas O'Leary (1986) was born, raised and trained in Architecture in New Zealand. After graduating in 2009 and relocating to Bergen, Norway, his lifelong passion of painting was refuelled by the breathtaking scenery surrounding the small city. He has been living and painting in these local mountains ever since. O'Leary has also studied under various artists. But the most recent and by far the most influential was Odd Nerdrum, in Norway. O’Leary works mainly with oil painting and his focus is to explore feelings and moods. By bending physical rules in his paintings O‘Leary often challenges our perceptions of truth and deception, reality and fantasy. Timothy Rees picked up his first set of oils in 2009 and never looked back. He moved from Arizona to Chicago in September of that year to paint each day in open studios at the historic Palette and Chisel Academy. After a year and half he joined the staff of instructors and began teaching drawing and painting classes, as well as international workshops. In 2012 he returned to Arizona to paint and teach at the Scottsdale Artist School, where he created a classical training program. 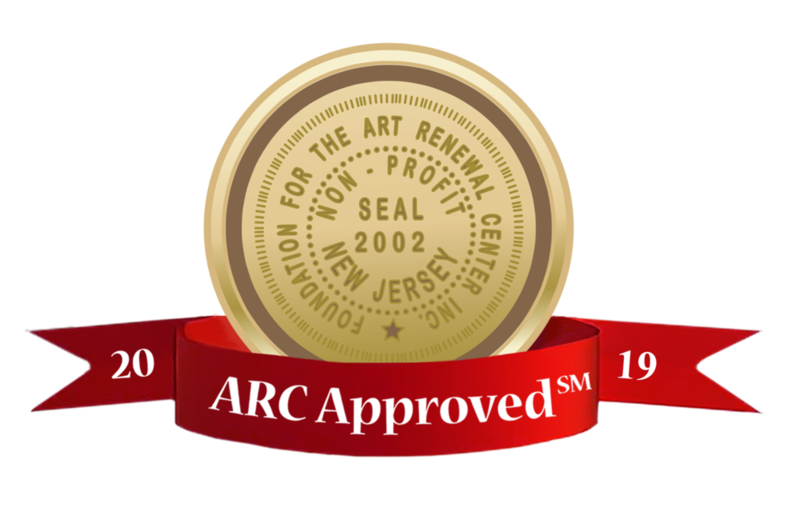 The program grew, and in 2017 expanded and moved to a new facility, Rees Atelier, an ARC approved school that offers part and full time classes. Timothy has won various awards, such as the P&C's People's Choice Award at the annual Gold Medal Exhibition, SAS People's Choice Award at Beaux Arts, Southwest Art Magazine's "Artist to Watch", and FASO's Bold Brush Award. He has appeared in several publications, including features in International Artist, Southwest Art Magazine, and American Art Collector. In an attempt to spread the knowledge of classical education, he has authored several instructional books and filmed over 3 dozen video demonstrations. His work is currently shown at McLarry Fine Art in Santa Fe.